September, 2012 – IK Multimedia, the leader in mobile music creation tools, interfaces and accessories, announced today the release of AmpliTube® 2.6 for iPhone/iPod touch/iPad. This special update includes the availability of 5 new gear models from some of the world’s top vintage and modern amplifier and effects manufacturers: Soldano®, Ampeg® and T-Rex®. The release of AmpliTube 2.6 for iPhone/iPod touch/iPad coincides with the shipping of IK Multimedia’s newest mobile interface, iRig™ STOMP — a stompbox style mobile guitar interface (based upon the immensely popular iRig guitar interface adapter) – providing a stage-ready solution that can be integrated into a player’s pedalboard and connected directly to amplifier and PA systems. AmpliTube for iPhone/iPod touch/iPad is a complete guitar/bass rig and recording studio that allows players to jam anywhere with world-class tone. It replicates a traditional guitar signal chain with pedalboards, amplifier heads, cabinets, microphone models and an expandable multi-track recording studio. On the amplifier side, AmpliTube 2.6 adds the incredibly powerful and solid voicing of the Soldano “Super Lead Overdrive” SLO-100 Watt head, one of the most celebrated boutique guitar heads of all time and the heart and soul of many rock, metal and electric blues player sounds since 1987. For that big round sound of Motown, AmpliTube 2.6 now offers to bass players the Ampeg B-15R Portaflex “Flip Top” model. For pedal junkies, satisfaction comes from three new offerings: the T-Rex® Engineering “Moller” Classic Overdrive, the AmpliTube Metal Distortion pedal for extreme gain and sustain and the AmpliTube “Big Pig” Distortion pedal featuring tones from smooth sustain and compression to heavy “buzzsaw” distortion modeled on classic vintage must-have pedals. These models, combined with the huge selection of available gear from top-tier brands like Fender® and Rock & Roll Hall of Fame artist Slash, continue to elevate AmpliTube as the best-sounding premium guitar/bass tone and recording solution for mobile players. With over 5 million downloads, AmpliTube sets the standard and is the leader for the portable guitar and recording studio app category. Existing users of AmpliTube for iPhone, iPod touch or iPad can purchase them as individual models a la carte starting at $2.99. For new users, AmpliTube 2.6 costs $19.99. An LE ($2.99/iPhone only) and a FREE version of AmpliTube 2.6 are also available with a limited set of gear models included. Now take your favorite mobile guitar & bass apps (like AmpliTube®, AmpliTube Fender® and AmpliTube SLASHTM) to the stage with iRig STOMP – the new mobile guitar/bass interface for iPhone®/iPod touch® and iPad®. Use the iRig STOMP solo or inline with your favorite pedals – either way playing live with your favorite apps has never been easier. Connect iRig STOMP directly to your amplifier, or run a stereo pair out to your PA system. iRig STOMP – Step up to the next generation of mobile music making. 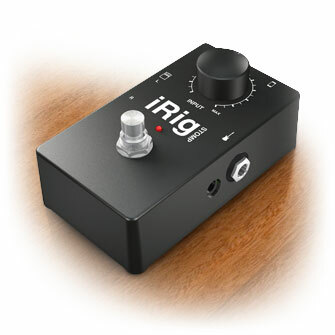 iRig STOMP is the first stompbox guitar interface for iPhone, iPod touch and iPad. 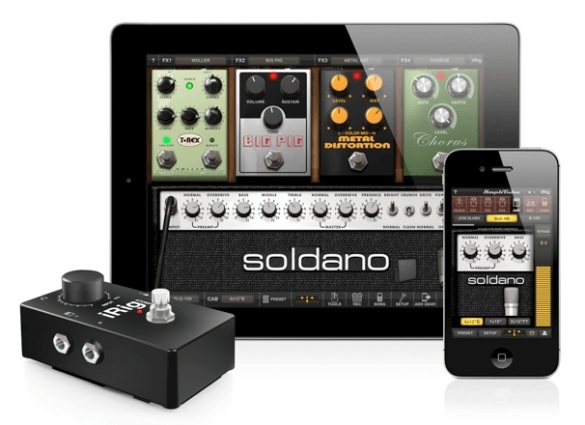 For the first time, guitar and bass players can now integrate their favorite iOS signal processing apps into their existing live pedalboard setup for enhanced tone shaping and effects processing. iRig STOMP is based on the wildly popular AmpliTube iRig interface and is compatible with any iOS guitar / amp / instrument app. With its compact, standard stompbox shape, iRig STOMP is packed with many smart features found here for the first time in an iOS audio accessory. 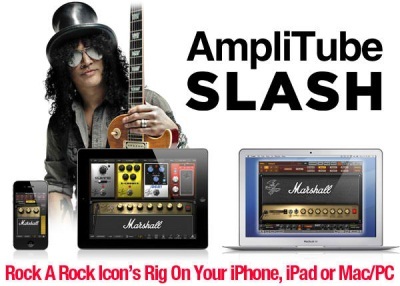 June 2012 – IK Multimedia is proud to release AmpliTube® Slash, the official Slash apps and software that let you play, practice and record with Slash’s signature pedals and amplifiers on the iPhone®, iPod touch®, iPad® and Mac®/PC. 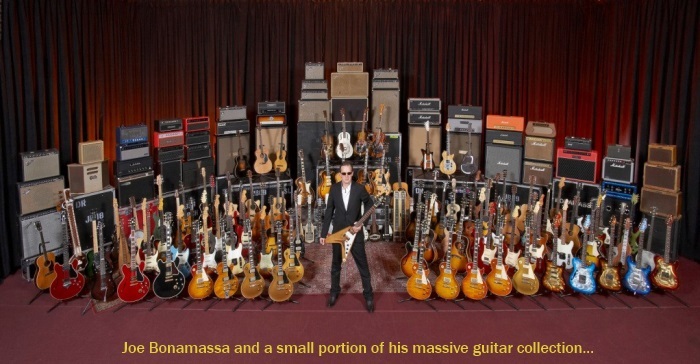 All versions of AmpliTube Slash feature models of the signature gear used by Slash in the studio and for his live performances. Now users can rock with models of the legendary Marshall® amplifiers used by Slash together with his signature guitar pedals. Also included is a comprehensive collection of Slash’s guitar tone settings provided as starting points for tone tweaking or playing along. Additionally AmpliTube Slash provides a fully integrated multi-track recording studio for capturing ideas quickly and easily or producing entire songs and compositions. A robust song player section gives users the ability to play along with songs or backing tracks by importing them directly from their device library or computer. IK worked closely with Slash to model his entire rig comprised of 2 must-have classic rock amplifiers – the Marshall JCM Slash Edition Silver Jubilee and the Marshall AFD100 – both equipped with Slash’s favorite 1960 Marshall speaker cabinet. Together with these sought-after amplifiers users will be able to choose from 6 stompbox effects that includes Slash’s signature Delay, Gate, Octave/Fuzz, Chorus, Booster and Wah/Distortion. The rig is fully configurable so that the signal chain can be freely customized depending upon the device used: 3 stompbox effects into an amp and cabinet on the iPhone/iPod touch; 4 stompbox effects and amp/cabinet/mic on the iPad, and up to 12 stompbox effect combinations into dual amp/cab/mic/room on the Mac/PC. AmpliTube Slash is the latest addition to the family of official IK guitar and bass products that, thanks to IK’s unmatched modeling technologies, features products with the best names in guitar effects and amplification such as Fender™, Ampeg®, Orange®, Soldano™, Seymour Duncan™, T-Rex® as well as legendary artist Jimi Hendrix™. Users can plug their guitar into their iPhone, iPod touch or iPadusing IK’s extremely popular iRig™ guitar interface adapter or the coming soon iRig STOMP pedal interface adapter. Users with Mac/PC can connect their guitar via USB port using IK’s StealthPedal™ digital audio interface pedal or StealthPlug™ cable interface that now also works with iPad using Apple Camera Connection Kit. AmpliTube Slash for iPhone and iPad are now available from the App Store™ now at an introductory price of $9.99/€7.99. Existing users of AmpliTube for iPhone, iPod touch or iPad can purchase AmpliTube Slash as an in-app purchase for $9.99/€7.99, or individual models a la carte starting at $2.99/€1.99. Does the sound of Purple Haze fire you up? Or does Foxey Lady have you playing air guitar to the classic riffs? 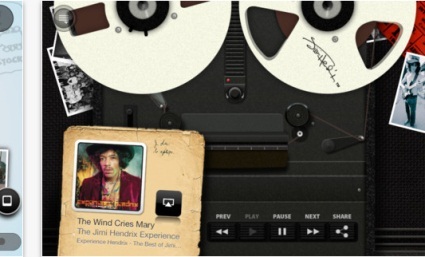 Expertly made for the iPad, iPhone and iPod Touch in conjunction with Experience Hendrix LLC, this interactive app is the most innovative Jimi Hendrix experience available anywhere. Jimi Hendrix changed the music world forever and inspired generations of fans with his music, lyrics and prose. Whether you are a lifelong fan, or new to his legacy, you can explore his vast library of music; dive into his full history, career and accomplishments through storytelling, images and videos; and relive some of his most famous concerts, venues and recordings as you pass by historic locations using the interactive map. Discography – Flip through the full collection of Hendrix’s albums. iTunes integration lets you play the songs you own, sample those you don’t and purchase new tracks from within the app. Filmography – Discover documentaries, live performances, and other films about Hendrix. Locations – Geo fencing alerts will let you know when you are near Hendrix landmarks. Visiting the landmarks will award you virtual passport stamps. Social Media Integration – Share accomplishments and information from the app with your social network with the integrated Twitter sheet and Facebook. Check out the App and view more screen shots in the Apple Store by CLICKING HERE. Last week, IK Multimedia released a major update to its AmpliTube for iPad app, highlighted by the addition of 8-track recording as well as the availability of new stompbox models. AmpliTube 2 for iPad is a guitar and bass amp modeling program. Plug your instrument into the iPad with a special cable adapter called the “iRig” and you can tap into a range of amplifiers and effects to customize your tone. AmpliTube 2 adds a the ability to record yourself playing (this feature was added to the iPhone version in October). A single track comes with the 2.0 update, with the option to expand the feature to an 8-track recorder. Each track features a button for enabling recording, an insert effect, controls for volume and pan, solo and mute switches, and two send-effect level controls to add ambience and depth with reverb, chorus, and delay from the master effects section. There’s also a global equalizer and compressor in the master effects section to tweak your final sound. In addition to the recording capabilities, AmpliTube 2 offers five new optional stompbox models-Compressor, Reverb, Graphic EQ, Parametric EQ, and Limiter. Other additions to AmpliTube 2 include the ability to import songs as backing tracks directly from the iPod library on your iPad or from a computer using file-sharing or Wi-Fi. A SpeedTrainer feature lets you slow down or speed up imported songs without affecting the music’s pitch-ideal for learning how to play particular passages of songs. Check out this video that shows how you can use the multi-track recording feature to record a complete song with effects on your iPad! The app costs $20 and includes a few basic effects and a single recording track. The iRig cable adapter is $40. Optionally, you can add the 8-Track recorder for $15 and several additional effect pedals for $3 each. 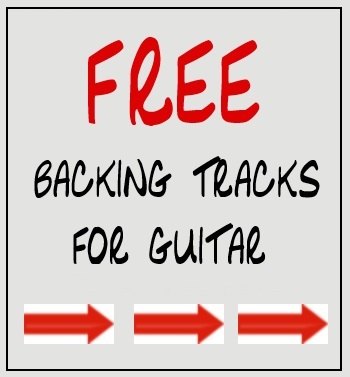 If you buy the whole package you are in for less than the cost of a single stomp-box from Guitar Center and you have a full-on recording studio for your guitar. Personally, I think this is a steal of a deal!